Tis’ the season to eat, drink and be merry. As we celebrate the holidays we often find ourselves joyously hopping from party to party with more and more cocktails being consumed. We all know how lousy we feel after a night of binge drinking, defined as more than three drinks within a three-hour period. We experience dehydration, our voices become raspy, we get headaches, feel sluggish, our skin may break out and our appearance just seems worn out. Whether it’s champagne, wine, egg nog, spirits or beer, consumption is higher during this festive time of year. The question is how does all of this holiday drinking hurt our thinking? What are the effects of binge drinking on the brain and what can we do to enjoy a few holiday cocktails without it having terrible (and even embarrassing) consequences? Personality changes. Who we are sober may change significantly with alcohol. When we consume alcohol there’s a quick increase in dopamine, a brain neurochemical responsible for that “high” feeling that makes a typically shy person hit the dance floor. When you exceed three drinks over a three-hour period, there’s simply more alcohol entering the bloodstream significantly reducing inhibitions. This explains how a calm, even-tempered person will become angry and even pick fights when inebriated. Inappropriate or “bad behaviors.” This is the personality change taken to another less appealing level. Behaviors such as drunk-texting, making sexual advances toward co-workers or friend’s spouses, physical altercations, even drunk driving come into play. When you stick to two drinks over a three-hour period with a glass of water in between, you remain much more in control. What’s interesting to note too is that a lot of people use alcohol as a justification for the bad behaviors they really want to live out when sober. There’s the expression, “A drunk person’s words are a sober person’s thoughts.” Not wanting to reach out to an ex at 2 am could serve as big motivation to limit your booze intake. Slurred speech. When you have more to drink, alcohol begins to impact the central nervous system and it’s communication to the brain. It doesn’t take a whole lot of alcohol for a shift in speech to take place. Information going from the brain to the mouth is impaired on a neurological level. What’s more alarming here is that the more a person binge drinks, the more quickly speech becomes slurred. Slurred speech is more of a symptom of cumulative affect of alcohol on the brain. Trouble with balance and walking. This has to do with alcohol’s impact on the cerebellum, the part of the brain responsible for motor functions and specifically balance and movement. Most women will blame a stumble on their high heels. Men may lean on another person while talking or hold onto a chair, the edge of the bar or another surface they feel will support them. Pay attention to these signs. Doing several shots of alcohol or simply ingesting alcohol quickly will impact balance fast! Again, it has to do with the amount of alcohol in the bloodstream reaching the brain and the impact on the neurotransmitters. You’re messing with your brain chemistry in a profound way when you binge drink. Memory loss. Ever notice how after a weekend of partying you may lose your keys misplace your credit card and forget key details on a work assignment? That spacey forgetfulness is due to shrinking brain mass. When you mess with neurotransmitters, you’re messing with cognitive function that includes memory. Alcohol throws off brain chemistry in the hippocampus, a key spot in the brain helping us formulate memories. If you’re noticing blackouts where you forget leaving a party, how you got home or other details of the timeline, that’s a sign you’re drinking too much or too quickly. So how can we enjoy holiday parties without making fools of ourselves or doing something even more harmful? 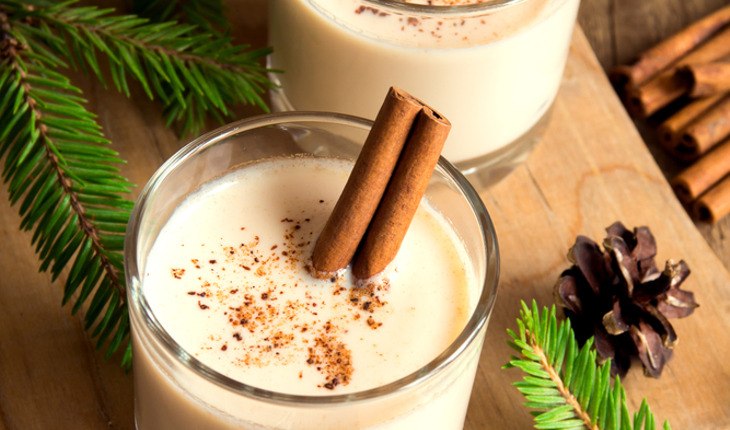 While it’s certainly ok to enjoy a cocktail, some egg nog, a beer or some wine, too much takes a toll. I suggest having a pre-party plan. Decide in advance where you are going, how long you plan to be there, and what you will drink. Eat something beforehand and drink water. You want to have a full stomach and remain hydrated. Using transportation apps like Uber or Lyft is a far better option than driving drunk. If you are noticing it difficult not to curtail the drinking and find alcohol as a necessary evil to cope with the holidays, then speak to a professional. You may be suffering from holiday related anxiety, stress or depression, which is common.